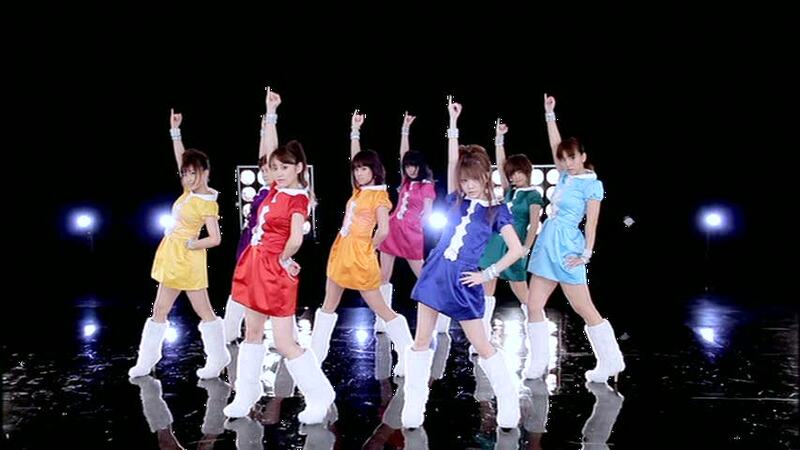 I love it when Momusu gets into my head. I haven’t been able to stop singing along to this new single since I heard it. I started humming it one day at work and that was it. So I am going to make a fuss. At the moment I don’t have time to post. But I have a few in the works. So I’ve got myself some work to do. Luckily I am approaching another day off soon. I will get busy writing. So they finally did it. They gave Risako the Diamond Sucker a solo single. Yes, I understand it is part of some anime and therefore “doesn’t really count as a solo debut” but PUH-LEEZE. She may as well go solo. She doesn’t seem particularly happy in a group setting. In fact, she doesn’t seem particularly happy at all. Unless of course there are DIAMONDS AROUND. So I watched the pv, expecting certain things and I got them. If you loved this pv and you were saying to yourself, “oh this is made of win. oh RISAKO IS SO AMAZING” etc, you might be angered by this review. The only amazing thing about this song is how incredibly Risako-like it is and how even with something so suited to her look-up-my-nostrils-for-I-am-a-princess persona, she can barely muster a smile.